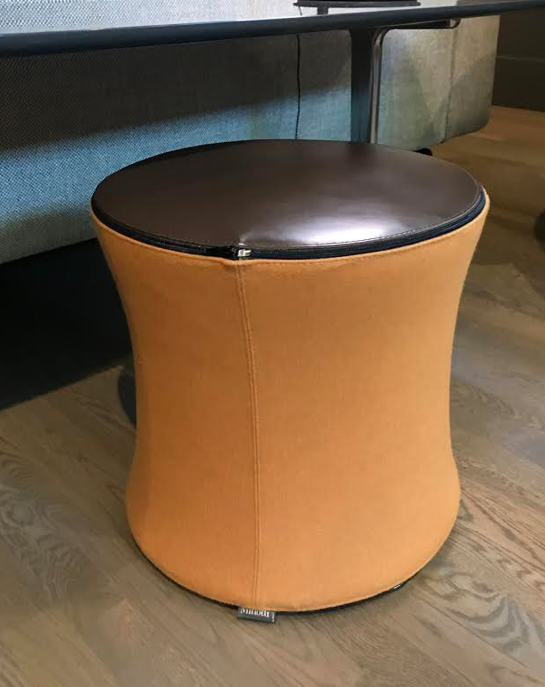 The Davis family includes several poufs, both round and square, available in different sizes and the Davis "Drum" in the particular hourglass shape with saddle-hide top. 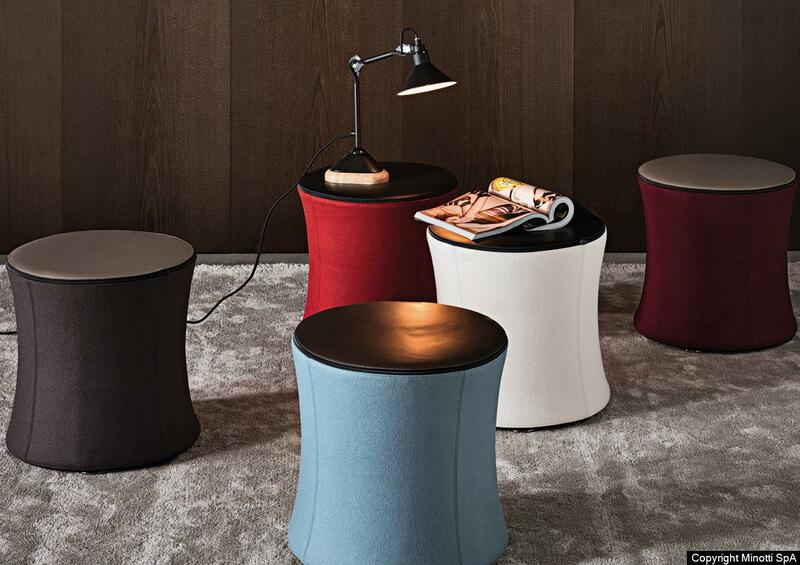 All the poufs are characterized by a compact style and appreciation for refinement in details, like goose-down filling, covering in saddle- hide branded with the Minotti logo, and the discreetly elegant metal feet in Black-Nickel. 16 1/8" x 16 1/2"